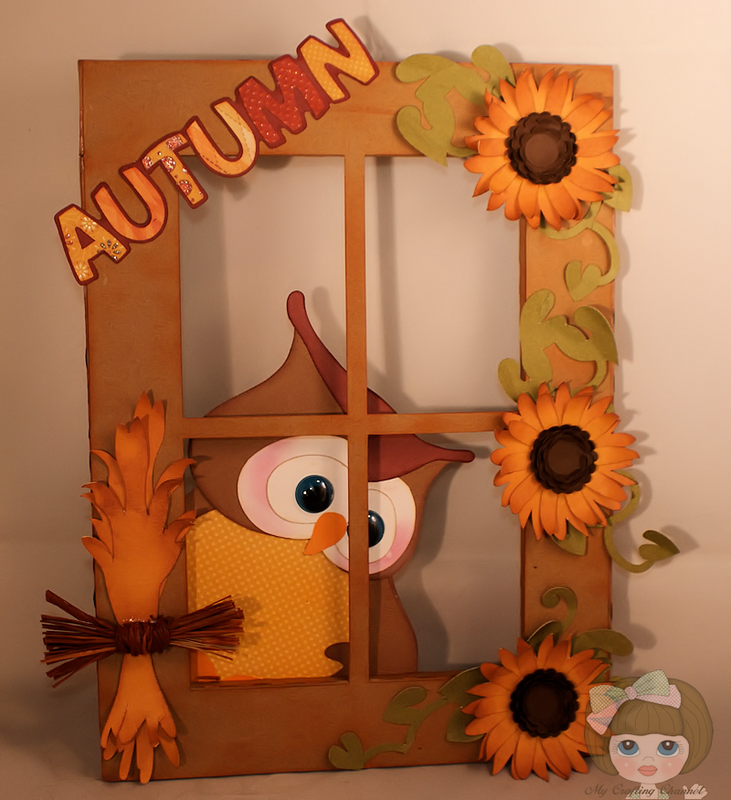 My Crafting Channel: Have An Owlsome Fall Y'All Blog Hop! Have An Owlsome Fall Y'All Blog Hop! One of the Design Team members for SVGCuts.com Brigit from Brigit's Scraps shared a Window Wall hanging. I loved it. Here is my first attempt at one. I look forward to making more of these for the up coming holidays. Inspire Me Fridays 77 - Anything Goes! I'm offering a little blog candy which will be announce on Monday. For a chance to win you need to be a follower of my blog and leave a comment below. Here is what you could win. Hope you enjoyed the 2 day hop. Below is the complete line up for both days. Ok my sweet and totally super duper creative friend....I LOVE LOVE LOVE this!!! Fab job on your owl project..all the details are super adorable!! Love the papers you used, all the cut files and..well just EVERYTHING about this!! WOW!! What a way to end the hop....Awesome job Nana!!! Love this. The owl is just toooooooo cute. He kinda looks sad. I'm a new follower of your blog. Looking forward to seeing more of your projects. this is so cute, will have to see if I can make it into a card! Nana, HOW ADORABLE IS THIS?! I LOVE your little window wall hanging! That owl peeking through the window is the cutest thing! What a great Fall project! Thanks so much for joining me for my Fall owl hop! I hope you have a great weekend! Absolutely adorable!! If this was your first try, I can not wait to see the next one!! I am your newest follower and look forward to seeing more of your projects. OOoo-Weee! I love this!!! I love that owl!! Beautiful window hanging project! Love that cut! Love,Lo e,LOVE the owl wall hanging!!! Wowee, wow, WOW! That's the cutest thing I've ever seen. I simply adore it, you did a FANTASTIC job. that owl is so sweet looking. Your project is amazing and so different. I love it! Great hoping with you this weekend. I think this is my favorite project of yours so far to date! I love it all. This is the most adorable owl. Perfect for fall. Love the colors and the cuts. I just love your owl in the window. Sing it, A-D-O-R-A-B-L-E!By the way, my daughter is a Music/Band Director. You did a great job! OMG...This is just this is just the cutest!! 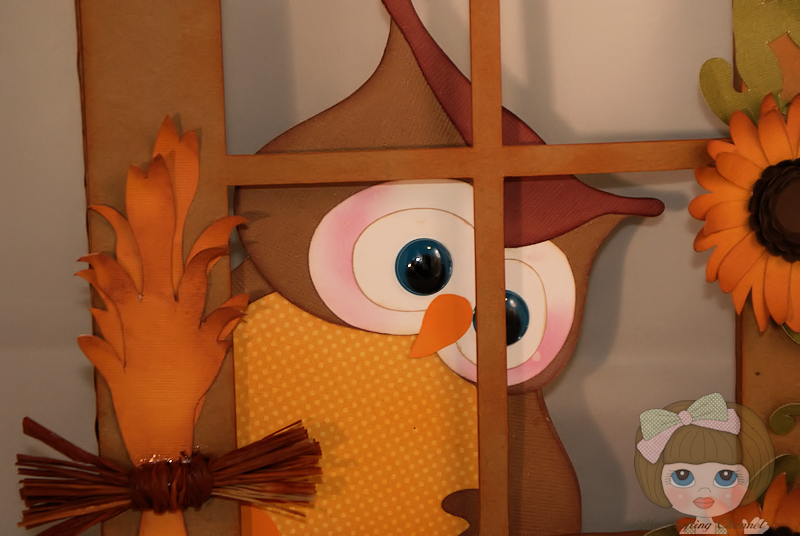 How adorable is that little owl peeking through the window? I want to say thank you to all the participants of both days of this hop. I am spending the day being mom's caregiver and while I sit here with her, I was able to hop both days. I have enjoyed it immensely! This is amazing! soo cute. Totally love the project, you did such an awesome job, that owl looks so adorable!! I'm so happy you got to make it!! This is so darn cute, I would love to have one on my crafting room wall..
the window and the owl peeking in is so so cute, I wonder if there is a way to do something like this with Cricut?? oh wow super cute what a great project. i LOVE your window creation! It's so darling. Thanks for sharing. OMG Seriously can this get any cuter at all. LOVE everything about it. That owl just looks so precious. That owl in the window is stinkin' cute, I love that!! I am your newest follower of your blog and also FB. Hi Nana!!! !...LOL...Saving the Best for last..lol!You rocked this my friend!! !Love it! !That's me looking into your window...lol!I am looking to see what's your next Super Awesome Project! !Love visiting you and seeing something so SWEET!FUN!and so FABULOUS!! !the owl is Adorable..but its me...lol..I can go on and on and you know I will!!! Love every detail of this Amazing Creation!! Absolutely adorable! I love the window idea and that owl is just the cutest! 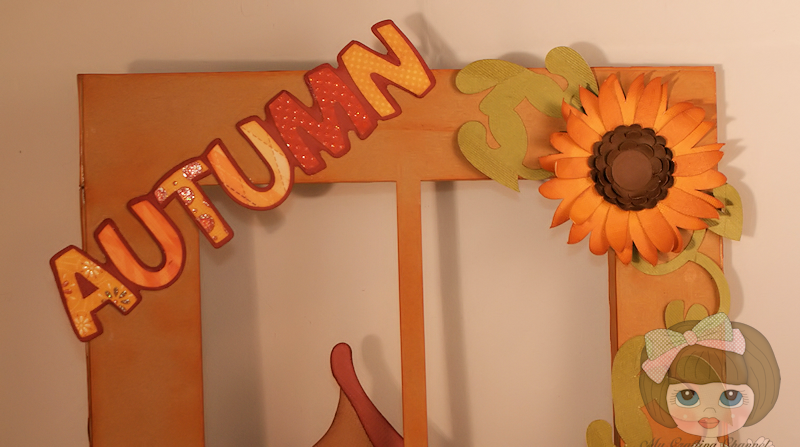 Great job on the flowers and autumn embellishments! I'm already a follower here! Thanks for the chance at the cute owl! Wow I love the owl!! I just love how he is looing out the window. Super cute!! This was just such an adorable idea! I love the window and all the details you have in the decorations! This is truly outstanding...and your 1st attempt???? I want to see your 20th since I'm sure by then it will be hanging in an art gallery! Beautifully crafted and the owl's expression is adorable. OMG!! I just love this project! I want to make one too! This is the coolest I have seen andyou just WOWed me!! lol Your are an amazing crafter and Im so happy to be in this hop with you! Hi Nana - I love your owl and I would love to win the owl die cut as well - but then, who wouldn't? I joined your blog this past week - I am trying to get myself organized on blogging - much to learn, but I am enjoying card challenges and the inspiration from others. Have a great week! I fell in love with Cute Card and left you a post on your FB page as well!! I have had a great time in this hop!! TFS!! Nana - thank you for visiting my blog - and leaving all the nice comments! I appreciate it very much - have a great week! Such a great wall hanging! Love the owl looking out! So sweet! This is adorable! TFS! I am already a follower! that is so adorable! I love it! I think i'll have to start making more autumn crafts for my home after this; I haven't been through the whole line up yet but i'm on my way. Isn't this the neatest project! I just have to make an owl since it seems to be the critter to use right now. Oh my...this is just beautiful! I love the wonderful fall colors and that little owl is just adorable! Love all the amazing details you've added...super cute! I absolutely love this owl! his eyes and the way he is looking through the window, just the cutest!!! THanks so much for leaving me sweet comments and the continued support it means alot! You did a terrifi job, that image is soo, so cute! I love how you made your owl like he's peeping out the window! How cute!! :) I just became a follower. Amazing. Love how the owl is peeking in. Already a follower. Thanks for sharing and the chance to win. Tis project is so cute. I can see this one being made for all seasons and special holidays. This is so cute!!! I love the window and the owl! Great job! I think your wall hanging is awesome. I love owls and yours is too cute. I'm following you now. Wow, your wall hanging is sooooo cute! Love your blog and I am now following! super cute project thanks so much for sharing im a follower. Nana, this is AMAZING!!! I would have never thought of doing a wall hanging like this but it's perfect!!! The little owl peeking through the window is SO CUTE!!! I have to go find the stuff to make one! Thanks so much for the inspiration!! And congrats to Susie for winning your candy! She's an awesome lady! YOUR OWL IS AMAZING! I love this project. He is so real looking! I love the window he is sitting behind. Wow! AMAZING! Happy to be hopping with you!! Sorry I was a little behind on commenting! Love it, thanks for sharing your work! I'm catching the hop a little late but I had to say that this project is so freakin' adorable!! Your owl has the sweetest little expression and love how he's peeking through the window! Such a cute owl. I also liked on your fb. This is a super cute wall hanging. Oh but your wall hanging turned out just sooooo cute and adorable. The little owl image is too sweet! Fantastic use of a window frame. You puts your heart into this creation. Thanks for playing along with us at Simply Create Too in our "anything goes" challenge. Come again soon. I love your owl! I just wanted to let you know that you're this week's featured blog on Fall Into the Holidays! Oh wow, Nana, this is so fabulous!! That is the ca-utest owl ever!! The window is creative and awesome!! I love the beautiful flowers!! Spectacular project...sorry I'm so late commenting on it!! Thanks for joining my LINKY PARTY with one of my all time favorites..."OWL" always know you are watching out for me!